Bordeaux Antique Venetian Mirror from Ivory Pearls Interiors http://www.ivorypearlinteriors.com/mirrors-48/bordeaux-antique-venetian-mirror-462.html – Glam at £203.23. Large Venetian Mirror from @OliverBonas http://www.oliverbonas.com/646017_645997_clear.htm – Stylish and a steal at £98. Olivia Ivory Large Mirror from @LauraAshley__ – Stunning at £192.50 (down from £275.00). Ornate Mirror in various colours by @OutThereOnTwit – available from @nothsdotcom http://bit.ly/zhDt8M – Sensational at £195. 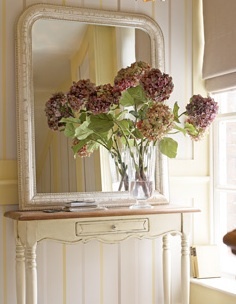 Hampshire Grey Mirror from Brissi http://www.brissi.co.uk/shop.php?action=show&range=243&pid=544– Divine at £290. Mirror, mirror on the wall… which is the fairest of them all?